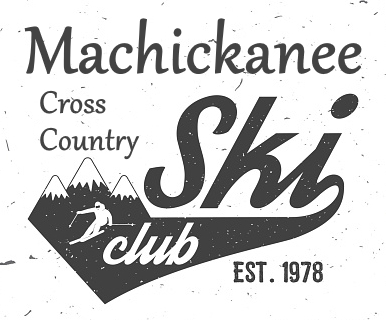 The Machickanee Cross Country Ski Trails also include a beginner loop that can be enjoyed by skiers of all ability levels. Our annual Spring Fling is next Sunday, March 10. This is open to all. 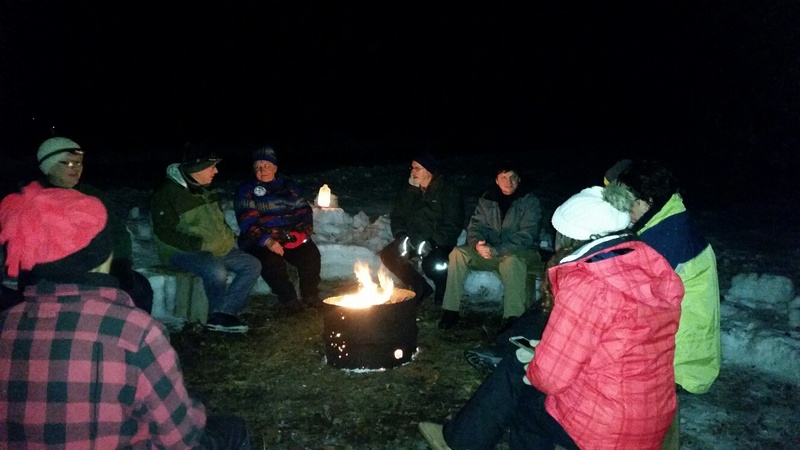 It is a fun time to meet with other skiers and get a wrap-up on the season. Location: Bavarian Inn in Lena. Social hour 5-6 pm. Order off the menu for dinner at 6:00 pm. Short meeting after dinner. If you would like to attend give us a call (920-846-2695) or send an email (rtabar@centurytel.net). Click on the Calendar of Events tab for updates on other events. 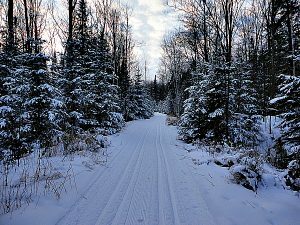 The trails were groomed Saturday evening after a good day for skiing. The track got soft and sticky where the sun was shining on it Saturday afternoon. That likely won’t be a problem on Sunday with the cooler temps. 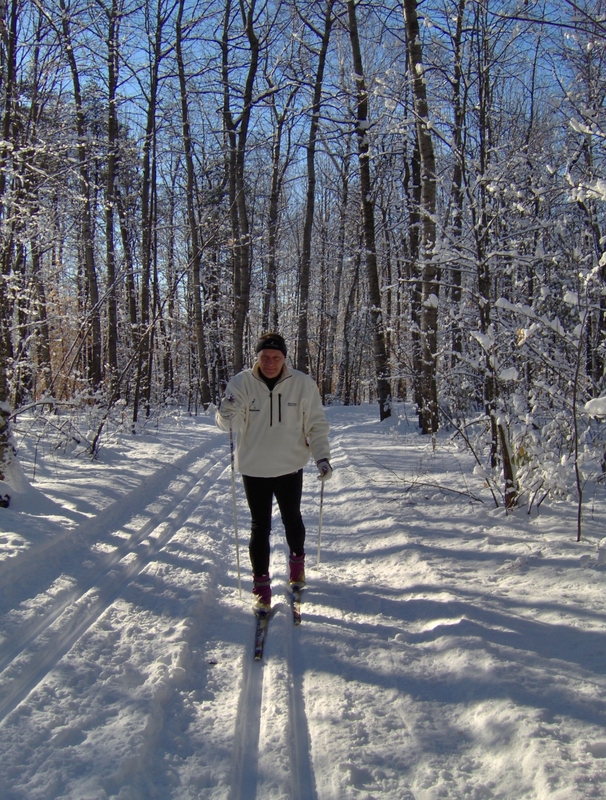 With the plentiful sunshine the skiing should be very comfortable and perhaps a little fast. Looks like the weather should hold for good skiing for the upcoming week. If you do not want to use the Shortcut Hill at the beginning of the Brehmer Creek Trail, you can use the alternate entrance which is located less than 100 yards down the road to the right from the main parking lot. Checkmark Hill on the Coral Berry Trail is not being groomed any longer. 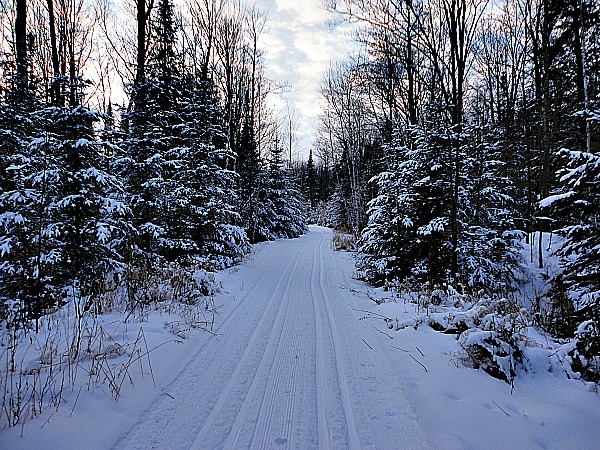 The trail is now groomed to the left at the top of Checkmark Hill. It continues over to the parallel hill (not named) which is about 100 yards from Checkmark Hill. That section of the trail, including the hill, is now two-way until it gets back to Checkmark Hill. You will need to watch for skiers going the opposite direction on the hill and yield to them. All trail maintenance, including removing deadfall trees and branches, mowing, brush cutting, bridge building and repairs, grooming, equipment purchases and repairs, and more are provided by the Club. 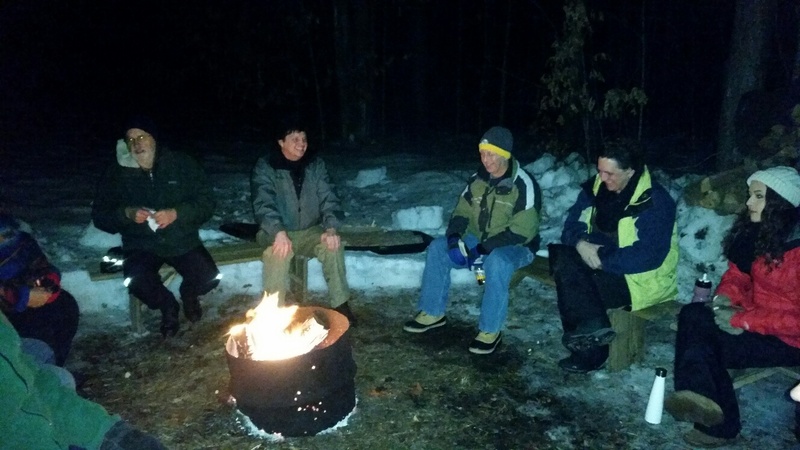 We rely solely on volunteer effort, club memberships, and trail donations to keep the trails in such good condition. Now that we are seeing some really good skiing, perhaps you can consider joining the club or providing a donation to help us along. Download the “Brochure” from the “Donation” tab at the top of this page to mail in a membership or donation. 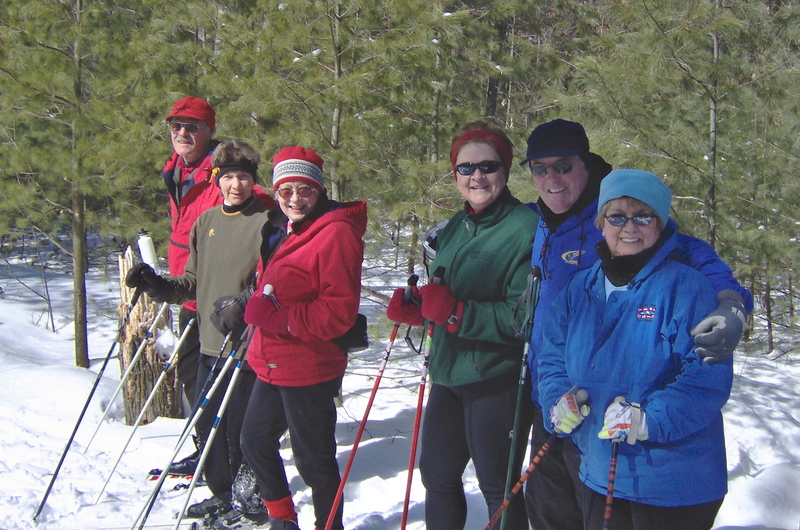 Or you can remember us with a donation via the cashbox located at the trailhead when you ski.